Event WordPress theme is a Feature-Rich and Elegant theme designed to build a website for Conferences, Meetups, Events, Book Signings, Trade Expos, Annual Functions, Congresses, Exhibitions and other Event Relative Websites. Event has all it takes to make your next event stand out and look professional. 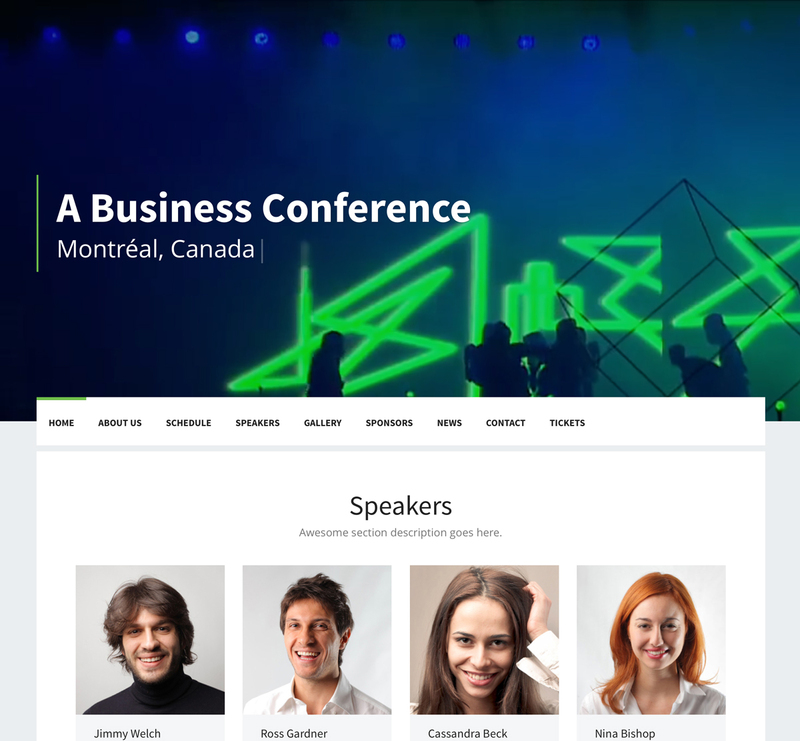 The theme helps you to Schedule a conference, Promote your speakers, Plan an upcoming event, Allow people to purchase conference tickets online, and much more. Give Event WordPress Theme a try today and promote your conference! A successful event or conference needs ample planning, creativity, and prioritizing your clients’ needs. True to its name, Event Theme understands all this – it gives you all the resources you need to make your event successful. With this theme, you get 11 Widget areas, 8 Custom Post Types, a Clean Code, Custom Share Buttons and Unlimited Color Schemes. 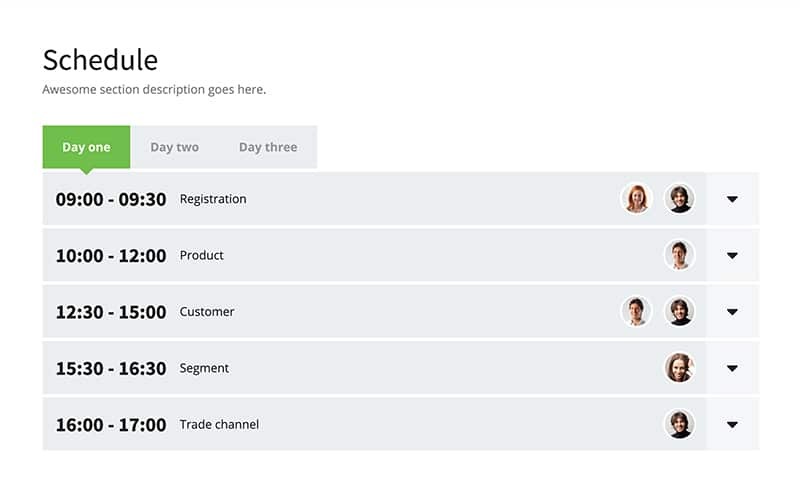 You no longer have an excuse why you can’t organize a fruitful event with Event because you get useful features custom-made for event organizations such as Speaker Profile Pages, Event Schedule, Sponsor, Gallery, News and much more. 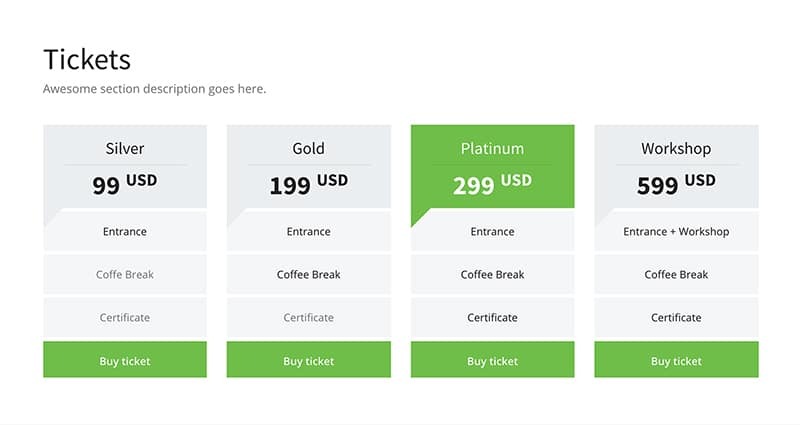 The Online Ticketing Purchasing Option in this Event WordPress Theme will allow visitors to make reservations. You can make your website more attractive by adding an Image or Video Background. Event lets you leverage the influence of your participants by promoting the speaker/s taking part in your event in a professional manner. By introducing your speakers in the most suitable way, it will help to increase the number of attendees. 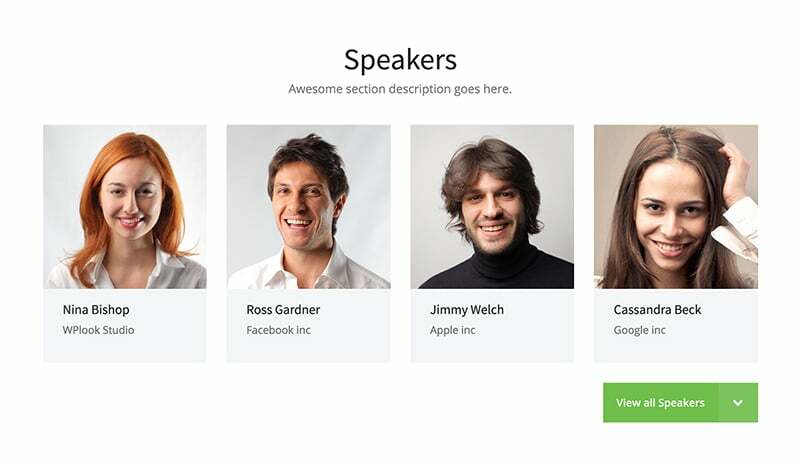 You can showcase the speakers in detail by creating profiles or short descriptions for each of them. This gives you an easy way to provide more info to your readers such as photo, social media profile links, company and help generate interest in the event. Event WordPress theme supports selling tickets online with PayPal. Alternatively, you can integrate your site with the popular third-party service Eventbrite for the same. Giving your visitors a convenient way to purchase tickets will encourage them to attend your event. Event is designed to build a website to promote single or multiple events. The Schedule feature in this Event WordPress Theme allows you to create beautiful schedules for your events in an easy to read format quickly and effortlessly. With a clear schedule displaying daily schedules, speakers, hours and subject of each event it is easy to keep potential attendees updated and notified on upcoming times and dates. This allows your visitors to access the best events and easily plan the event sessions they hope to attend. A blog is a useful tool to broadcast your ideas and attract more followers. Event theme provides you with an engaging blog template to share interesting news and thoughts related to your work. By posting to your blog regularly, your visitors will have something to look forward to in your site. Use the blog to gain trust and credibility of your visitors. The easy and dynamic Advanced Theme Options in Event WordPress theme allows limitless customization options. Event lets you create and customize different aspects of your site including the color, typography, pages, and all other settings. Pick a page layout of your choice from the many available, each bundled with conference features (Tickets, Speakers, Blogs, etc.) to build your dream website. The Gutenberg is a whole new way to use WordPress. Experience the flexibility that blocks will bring. Blocks are a great new tool for building engaging content. With blocks, you can insert, rearrange, and style multimedia content with very little technical knowledge. Instead of using custom code, you can add a block and focus on your content. Nothing to say against. Nice work. Beautiful design. I can’t yet give the full five stars as I haven’t finished adapting the theme to suit my project but so far I have been really pleased. I’m not very technically minded so was concerned about how complex the theme might be to use, but I was able to get the answers to lots of my questions before I bought it. Since my purchase, any questions I have asked have been answered in detail. I’m just about to start work on what I think will be the trickiest part of my site, but I know the team will be on hand to help if I get stuck. A very adaptable theme for all events, conferences and festivals. Try It Risk Free For 14 Days, With Our 100% Money Back Guarantee.